This flamboyant arrangement sings with the vibrancy of bright sunshine, and is a true explosion of exotic summer. 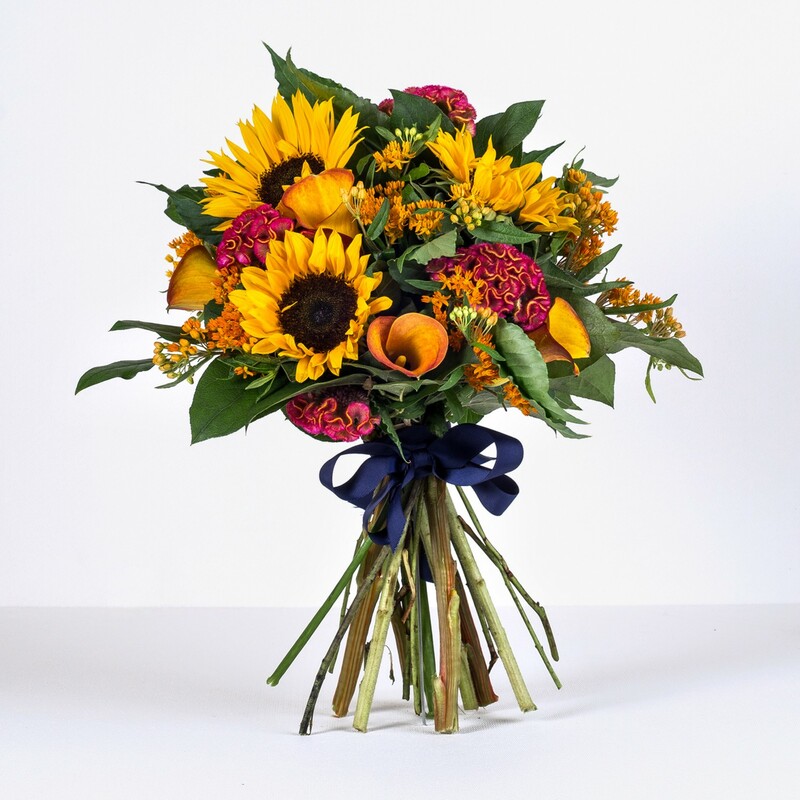 It is this burst of yellow that we embrace with our Luxury Exotic bouquet, combining striking sunflowers with the stunning ochre hues of Calla lilies to wonderful effect. To add even more luxuriant detail and texture, we have added tropical foliage in warm reds and oranges that evoke a fiery sunset. This glowing combination of sunflowers, Calla Lilies and tropical foliage makes for a display that is a gorgeous medley of summer colour, and will bring a smile to any face.